Credit cards are so integrated into our financial lives, it’s becoming increasingly difficult to get around using them. In recent years, Canadians’ total credit card debt has almost reached a whopping $600 billion. That’s a lot of plastic being swiped! Credit cards are convenient and necessary for many of our daily transactions. For shopping online or booking hotels and rental cars, they’ve become a must. But that same convenience can lead to balances quickly adding up and spiraling out of control. That leads to added interest, which makes paying off balances even harder. Soon you’re stuck in a pattern of barely maintaining minimum payments with a worrisome debt that feels impossible to pay off. Not only does that create added stress on your wallet, it can lead to damaged credit. Soon you’re borrowing more just to maintain your basic monthly expenses. If you’re feeling trapped in this cycle, don’t worry. LendingArch specializes in helping Canadians find personal loans that can help reduce or eliminate credit card debt. We’ll work with you to find a loan that has terms tailored to your needs. Even if you have bad credit, we’ll locate a lender that understands your situation, helping you to consolidate costly credit card balances and pay off your debt painlessly. With the right plan, you can leave bad credit behind and start building for tomorrow. At LendingArch, we recognize how devastating those double-digit interest rates can be. The average annual percentage rate (APR) for typical consumer credit cards is about 16% to 17%, but many cards targeting subprime borrowers can have steep APRs of 25% or more. As Canadians continue to rely on borrowing to finance household expenses, credit card companies are targeting financially vulnerable consumers with tempting offers of easy approvals and spending benefits. But these cards can come with pricey interest rates, particularly when carrying high balances. The end result: it’s usually consumers with bad credit who end up paying astronomical rates. With such high interest rates, balances can rapidly escalate, even if you’re not a frivolous spender. In fact, about one-third of all Canadian credit card users say they don’t pay off their balances in full every month. That adds up to approximately $7 billion in interest added annually. It happens easier than you might think. As soon as you let a monthly balance carry over, interest begins accumulating, which only makes the next month’s obligation even more challenging. If you start missing payments, your credit score can soon plummet, leaving you with bad credit and even fewer options for borrowing. It’s a dismal loop that many of us fall into, leaving us chained to those high-interest cards with no end in sight. What you need is a fresh start with a plan that works. The smartest way is through debt consolidation with a personal loan. LendingArch’s expertise is in empowering Canadians to end the insanity of high-interest credit card debt. We work with some of Canada’s most trusted lenders to help you find loans with the lowest rates and the fairest terms, even if your credit history is less than perfect. Just fill out a quick online application with your basic financial information and your loan requirements. In minutes, we’ll provide you with a range of customized options on personal loans at fair, manageable terms. Even better, our application process has no effect on your credit score, which can be a real relief when you’re wrestling with bad credit. Once approved, you can consolidate those outstanding credit card balances and wipe them clean. Say farewell to those predatory credit card interest rates and reclaim the power over your financial future. Battling credit card debt can feel like a lost cause. You’re so busy battling sky-high interest rates and making minimum payments, you can’t even begin chiseling away at the principal. Over time, those debts have serious consequences for your financial prospects. Even if you’re doing all you can, it never feels like enough. LendingArch looks at your existing debt obligations to calculate a budget and timeline that makes sense. 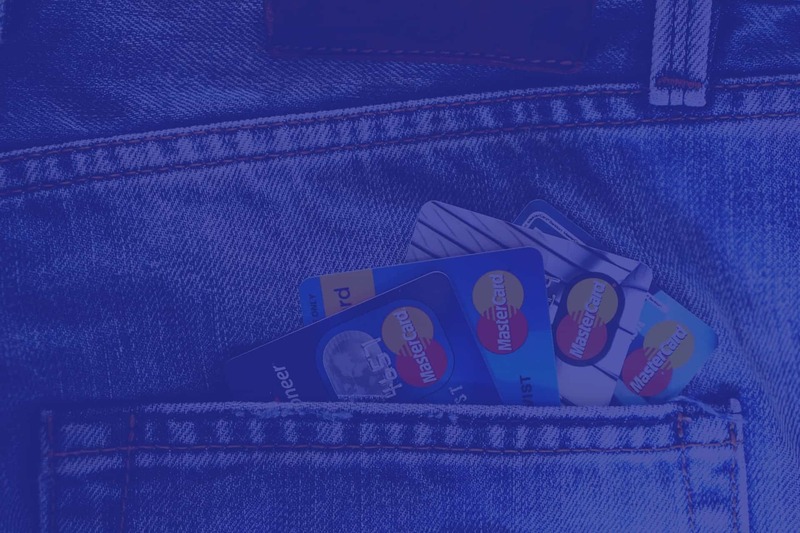 We’ll instantly connect you with reputable lenders that share our philosophy of enabling Canadians to rid themselves of high-interest credit card debt. With a debt consolidation loan, you can merge those multiple credit card balances into one monthly payment suited to your budget. Your loan will be designed to fit your budget with one purpose: to eliminate that difficult credit card debt. Not only will you be freed of the anxiety of unpaid bills, you’ll have a viable monthly repayment schedule with a clear end date. You’ll enjoy the peace of mind of getting runaway credit card debt under control and saving your hard-earned money for what really matters. Even better, you can repair your bad credit at the same time. Your life isn’t preprogrammed, and your financial plan shouldn’t be either. At LendingArch we see you as a human being, not just a credit score. We understand that even the most responsible consumer can fall behind on expenses and get stuck in a rut of unpaid bills. But working your way out of credit card debt and bad credit doesn’t have to mean years of stress and agony. We’ll look at your entire financial picture and guide you to an online loan lender that truly understands your needs. If you need support along the way, we’re here to help. We’ll provide you with expert advice and helpful online tools, including a personal loan calculator that lets you crunch the numbers yourself and find a plan that works for you. Let LendingArch find an online loan meant for you. Get rid of that burdensome debt now and break the cycle of credit card debt for good.